How Are “Power Couples” Affecting Marriage, Divorce and Families? The New York Times recently highlighted an interesting pattern that has emerged with couples and marriage—one that is not only affecting income inequality, but family-based advantages, marriage, and divorce rates. The concept is known as “assortative mating,” or like pairing up with like. It has resulted in the existence of more “power couples,” than ever before, but also tremendous inequality—not just in terms of overall income, but in educational levels for children. In doing so, it is having a very real effect on overall class levels, socioeconomic status, and social structure. The article highlights how when money and power become more and more concentrated, there are both long-term benefits and costs to society. While this matching tendency can result in children who are innovators, it can also result in many families that feel disengaged and hinder the family-based advantages that bring a majority of children to try and work towards a path to higher income mobility, thus participating more in the general economy. The end result could be fewer overall individuals being given the opportunity to improve their socioeconomic status in life, which can, in turn, negatively affect society. While welfare advocates push for such measures as charter schools, universal preschool, and higher subsidies or credits for children from low income families to try and even the scales, it still is not clear what kind of difference—if any—this can make when you compare these measures to the opportunities given to children who come from highly educated parents with the money and incentive to give them that extra push that they need to become successful in the future. While many would find the concept of matching people based on income and educational levels as abhorrent and in no way connected to love and marriage, at the same time, websites like Match.com that recommend “matches” based on computer algorithms are becoming more and more popular, resulting in a new form of assortative mating. While this strays far from the concept of people with similar genotypes or phenotypes purposely choosing each other as partners more frequently, it is having a similar overall effect. In addition, the practice of couples sorting according to education levels has an effect on marriage and divorce, with marriage being on the decline since 1960 (especially for non-college educated individuals) and divorce being on the rise (also more so for those who did not attend college). 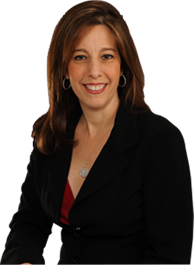 If you need any assistance with family law issues and live in the Fort Lauderdale or Boca Raton area, please contact Sandra Bonfiglio, P.A. to schedule a consultation. We provide guidance and representation for all families and income levels, and will work with you to ensure that you and your family’s legal rights are protected.